Thales in particular is looking at supplying key components such as sonars for India's nuclear-powered and other submarines. New Delhi: French defence company Thales has said it is working on doubling its footprint in India by expanding its overall product portfolios with a major focus on India's ambitious project to build a fleet of nuclear-powered attack submarines. Senior Executive Vice-President (International Development) Pascale Sourisse said Thales was in particular looking at supplying key components such as sonars for India's nuclear-powered and other submarines. India has been working on a secret project to build six nuclear-powered attack submarines which are expected to boost the Navy's overall strike capabilities. 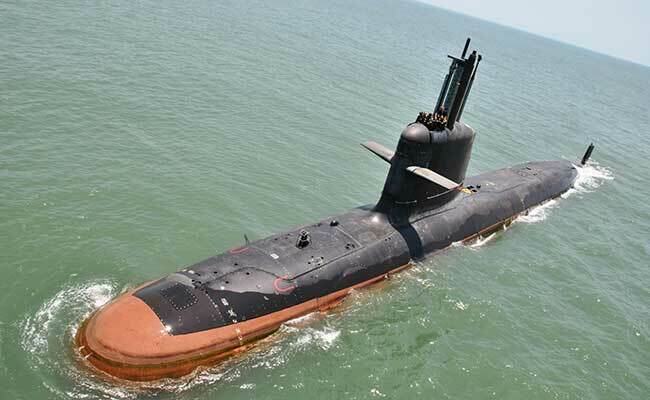 The government had last year also begun the process to acquire six conventionally-powered advanced stealth submarines at a cost of around Rs 60,000 crore under project P-75 (I). "We can equip any kind of submarines including nuclear-powered submarines. We are equipping nuclear submarines in France," the senior executive of Europe's largest defence electronics company told PTI in an interview. Six Scorpene-class submarines are currently being built under 'Project 75' of the Indian Navy. The submarines, designed by French firm Naval Group, are being built by the Mazagon Dock Limited in Mumbai. The project P-75 (I) will be a follow-on for Project 75. Sourisse said India was one of the top three priority markets for Thales and the company planned to double its footprint in the country in the next two or three years by ramping up its supply chain and building a sustainable ecosystem of partners. Thales expected defence manufacturing in India to grow because of the government's initiatives in boosting the production of weapons and military platforms, she said. In particular, she referred to the government's decision to raise foreign direct investment in defence manufacturing to 74 per cent for certain niche segments. Sourisse said the Thales strategy was not only to support the government's "Make in India" policy but also exports from India. "We are in India for 65 years. Since 1953, we have been working with the Indian Air Force, the Navy and the Army," she said, adding the company was looking to expand its product portfolio as well supplies to all the three forces. When asked about the project to upgrade the IAF's Mirage 2000 fighter jets, Ms Sourisse said it was moving along "very well". Thales is a part of the project along with Dassault Aviation. On the Rafale deal, she said it would be a "win-win" proposition for India. Thales will provide equipment and systems that are expected to account for about 25 per cent of the total value of each Rafale. 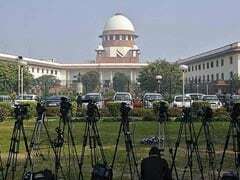 India had inked an inter-governmental agreement with France in September 2016 for the procurement of 36 Rafale fighter jets at a cost of around Rs 58,000 crore. In the naval domain, Ms Sourisse said Thales was ready to produce its premier Search Master radar in India under the "Make in India" initiative. She said the company was keen to produce various equipment and surveillance devices for the Indian Air Force as well and particularly mentioned the fire control radar solution. Last week, Thales and India's MKU Limited had joined hands for the development and production of optronic devices and F90 close quarter battle (CQB) rifle for soldiers. The optronic devices and F90 rifles will be manufactured in India at MKU's facilities in Kanpur. Thales has been providing avionics and other equipment to the state-run aerospace behemoth Hindustan Aeronautics Limited for over four decades and Ms Sourisse said the company was now looking at expanding the association further. Earlier this week, Thales set up a new office in Bengaluru as part of its plans to strengthening its presence in India.